Who do you call on, when you need the absolute best in lawn care, Ballwin MO homeowners? The answer to that question has become simpler over the past years, with the emergence of Lawn Masters as the best lawn service provider in the area. Our lawn maintenance philosophy goes beyond the “mow and blow” approach. We understand that, much like their owners, each lawn is unique. That’s why we provide tailored programs for lawn care, based on your needs, and encourage flexible scheduling. We value your time just as much as you do. What do you think your lawn requires, in order to become the best version possible? 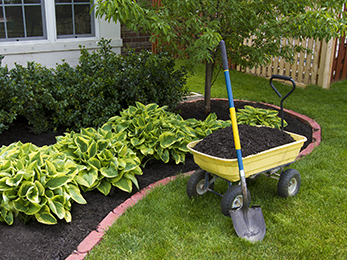 Perhaps it’s in dire need of some Flower Bed Mulching – one of the most natural ways to achieve a clean, tidy flower bed, in a short span of time. 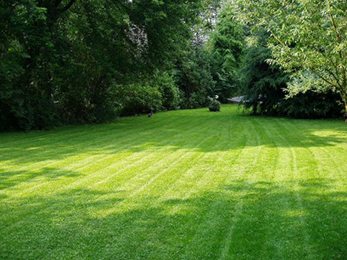 Or maybe you’re thinking of cleaning up the appearance of your lawn, via our Tree & Shrub Care services. Our expert technicians and horticulturists will do more than just mow your lawn and go. They will also return for flower bed weed control, if you decide you need us to take care of that for you; spring & fall leaf removal services are also on our list, because we strive to be your one-stop shop for all possible lawn care needs. Lawn Masters knows good lawn care. Ballwin MO, do you know us? There’s a science behind good lawn mowing – and it all begins with trained staff and the proper equipment, which we at Lawn Masters posess. We can also handle fertilization & weed control for you, with substances that are 100 per cent safe, for both you and your family, as well as your pets. Our years of experience in the field speak volumes about the quality of the work we do, as do our rosters of happy clients. With us, the guarantee is as simple and efficient as they come: our services are either perfect for your needs, or they’re free of charge. Working with us starts with a free initial consultation and estimate, since we believe in maintaining a personable relationship with each client, as well as in respecting your budget constraints. 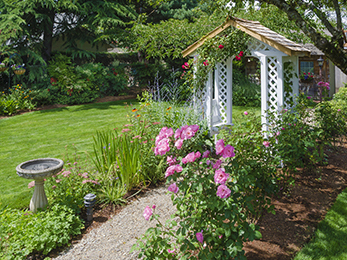 And since we understand that landscape maintenance is about far more than a well-manicured lawn, we also provide additional services for your plants, such as Tree Service and Hedge & Shrub Trimming. 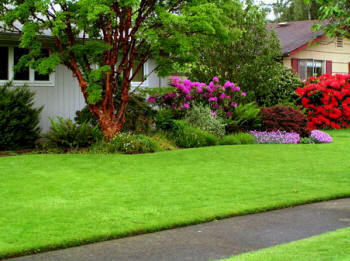 Call Lawn Masters today and let us know what we can do to help: we’ll be happy to hear from you!